Luby, A. (2019). Reclaiming the Secular: Developing Dialogic Skills for a Post-Secular Society. International Journal of Society, Culture & Language, 7(1), 27-39. Antony Luby. "Reclaiming the Secular: Developing Dialogic Skills for a Post-Secular Society". 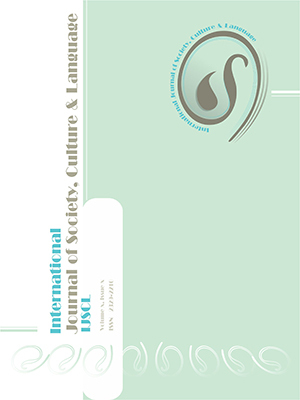 International Journal of Society, Culture & Language, 7, 1, 2019, 27-39. Luby, A. (2019). 'Reclaiming the Secular: Developing Dialogic Skills for a Post-Secular Society', International Journal of Society, Culture & Language, 7(1), pp. 27-39. Luby, A. Reclaiming the Secular: Developing Dialogic Skills for a Post-Secular Society. International Journal of Society, Culture & Language, 2019; 7(1): 27-39. This research paper addresses secularization from both political and religious perspectives. One of its manifestations in the political sphere is that of globalization that can lead to alienation within society; and in the United Kingdom this is exemplified by Brexit. Within the religious sphere secularization is usually couched in oppositional terms. This paper reclaims the original use of the word secular as envisaged in a three realms’ model of society comprising profane, sacred and secular realms. The secular realm acts as a buffer between the profane and sacred realms and in this neutral, public sphere the power of reason prevails. An educational starting point for such creation is pedagogy and through linguistic, psychological and cultural analysis, this paper identifies the development of reasoning through the dialogic skills of building consensus (cumulative talk) and constructive criticism (exploratory talk). Sixty-five students from a varied background of UK secondary schools have participated in the development of these dialogic skills.